Maltitol is a type of sugar alcohol with relatively higher glycemic index compared with other sugar alcohols. It is classified as a carbohydrate that is consist of glucose and sorbitol. 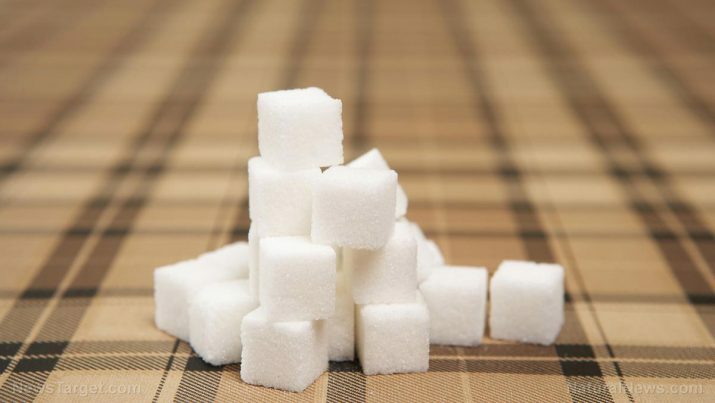 The sugar alcohol is produced from maltose, which is obtained from natural starch — such as corn, tapioca, or wheat — processed by using enzymes alpha- and beta-amylase and pullulanaze. Maltitol contains 90 percent of the sweetness of table sugar. Its relatively high glycemic index does not make it an ideal sugar substitute for patients with diabetes, according to an entry published on the Sugar and Sweetener Guide website. However, the article noted that the compound is safe for consumption when taken moderately. The compound is commonly used as a sweetener, texturizer, and thickening agent in various food products such as candies, baked goods, and ice creams as well as chewing gums and ice creams. Likewise, the pharmaceutical industry uses maltitol in the production of pan-coated tablets. Chicory leaves also contain trace levels of maltitol. Maltitol consumption is particularly harmful to the body’s overall digestive health, according to an article posted on the health and wellness website Live Strong. The article cites a study published in the European Journal of Clinical Nutrition which shows that maltitol may induce stomach and abdominal discomfort. Researchers pooled data on healthy volunteers as part of the placebo controlled, double-blind study and found that consuming as low as 40 grams of maltitol daily may trigger the onset of abdominal pain. The harmful compound may also cause vomiting and nausea. The harmful food sweetener is associated with increased risk of diarrhea as well. Maltitol is not digested and absorbed in the small intestine just like other types of sugar alcohol, a Nutrients Review article noted. This then attracts more water from the intestinal wall, which may explain its laxative effects. The Calorie Control Council confirms this, and discusses that people who take maltitol may expect changes in their regular bowel movements. Maltitol consumption of more than 15 g may induce diarrhea in children, a previous study has shown. Another study reveals that daily maltitol intake at 60 g to 90 g doses may result in diarrhea onset in adults. However, diarrhea and related symptoms will soon disappear once maltitol is eliminated from the body. Maltitol is also associated with an increased risk of suffering from excessive internal gas and flatulence in both children and adults. These side effects are known to persist as long as maltitol is consumed, a previous study explains. Another past study stresses that the side effects are due in part to the body’s inability to efficiently adapt to the artificial sweetener. An article featured on the Wise Geek website showed that maltitol may affect the central nervous system as well. According to the entry, maltitol intake may trigger severe headache in some people, especially when it is taken on an empty stomach. The article recommends consuming other foods before eating items containing maltitol. Maltitol is particularly harmful to the body’s digestive tract. Likewise, the sugar alcohol negatively impacts the central nervous system. Maltitol causes abdominal pain, vomiting, and nausea. Maltitol contains laxative properties that trigger diarrhea onset. Maltitol also causes flatulence and severe headaches. Maltitol is particularly harmful to the body’s digestive tract. Maltitol also negatively impacts the central nervous system.